These cookies remind me of the peppermint cookies that the Omas on both sides of the family bake/have baked. One of my favorite stories of baking cookies is of when I was baking the usual chocolate chip or oatmeal cookies that I usually bake ... my little girl was sitting and watching me and she asked," Mommy, when are you going to bake cookies with nothing in them, just crumbs?" I knew exactly which cookies she meant. These look like they would be a bit more my style to try to bake ... with the same texture! They look good! Oh, and add the pink icing and they would be any little girl's favorite! Oh dear Betty. You are becoming such an expert at this posting business...and your photo is lovely. How I wish I could sit at your kitchen with your wonderful baking and maybe a cup of your green tea? Sigh...those look lovely AND yummy. Annaliese, that story of your daughter is so precious. Jennifer, I use Crisco shortening. I haven't ever used butter in this recipe, if you try them with butter please let me know how they turn out, okay? great picture betty..you are becoming a real pro......i love these cookies...........i didn't grow up with chocolate chip, it was jam jams and weiche kuchen. i'll have to compare recipes. Betty .. you even have an expert witness to say how great these cookies are. .I love that. They looks so nice and I'll surely try these cookies with just the crumbs in them .. (so cute the way Annieliese little girl said it). . I'll have to make some with pink and some with blue. .
Ali..want more cookies?? I still have some leftover! Anneliese.. that is so funny..those little ones say the cutest things! My g'ma and Mom also baked peppermint cookies. Lovella..my witness is a little biased I think..lol These cookies would be pretty with pink and blue icing...won't be long and those little ones will be asking for cookies! Charlotte..I didn't grow up with choc chip cookies either..didn't know such existed! Once in awhile my Dad would come home with a box of broken cookies and day old treats from the bakery..oh how we enjoyed that! Trish..you are welcome any time to come sit in my kitchen, I would put you to work though. There are always jobs I don't care for. Then we could have some green tea or a strong cup of java! thanks for the tip Betty! We don't have Crisco where I am right now (in Switzerland), but if I get to making them with Butter, I'll let you know how they turn out. I'll have to wait until I'm back in Canada to do a comparison tasting - one batch with Crisco, one with butter. Thanks again for sharing and for the tip! My Grandma used to make these and the recipe was long lost after she passed away in 1966. My Mom will be 90 this year and told me her grandparents were Mennonites so I was searching for info and found this terrific site. Thank you soooo much! You know, apparently, the color pink actually makes people feel happy? (I just read something that says that it's tranquiling too. It causes your brain to release a chemical that decreases muscle strength. How weird!) All I know is that pink is my favorite color and I automatically love anything in the color pink.. so pink icing on cookies? I'm sold! We call these Grandma Cookies. My grandma and mom made them, and now all of us girls make them. Our recipe calls for butter and whole milk and of course pink icing. They look identical to the picture. I just came across this site looking for raisin bubbat - what luck!! My Oma used to make the soft peppermint cookies that had the baking amonia, I can't find baking amonia in my small town, do you think I could just add it to this recipe instead of vanilla? You can add peppermint drops(2 or 3 drops) instead of vanilla and also add about 3 tbsp baking ammonia dissolved in a wee bit of hot water. And if you can't find the baking ammonia just omit it and do the peppermint drops alone, either will work I'm sure. One of the other girls mentioned checking the pharmacy for baking ammonia. I still have a jar of it from my Mom..
Let me know how they turn out, okay? Lovely, I was thrilled to find this recipe blog. I have one thing to add, there is no recipe for Farmer Sausage Stew, a staple meal for folks where I come from. 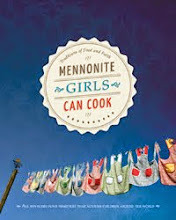 I live in a Mennonite town in Central Canada. People always dismiss our food as being bland and boring, but you ladies have managed to make it so attractive. Thanks. Yum! I baked these cookies today as part of my Christmas baking. I did't have shortening or buttermilk, so I substituted with butter and sour cream. They turned out very soft (almost melt in your mouth!). 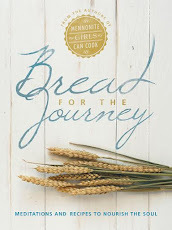 Love the recipes that you girls have put together. Im trying to print the recipe, and am unable to do so. can you help? from Manitoba. Yummy! Just Yummy! Thank you for sharing your recipes. I stumbled upon this website looking for farmers sausage soup recipe and have ran into so much more. These cookies remind me of the ones I would make with my Mom every Easter and Christmas. At Easter we would cover them with a marshmallow topping made with Knox gelatin. Then we would dip the tops in coconut or homemade chocolate topping. Christmas was usually covering them with icing and sprinkles. 10 - 15 doz. at a time! I miss those times with my mom and am so glad I have those memories! I am so happy and grateful for this recipe. I grew up in a small town in Mexico, where there is a large Mennonite comunity, I used to eat these cookies covered in marshmallow and chocolate when I was a little girl because my father was friends with a gentleman who's wife used to send them to us as a christmas gift every year. Your recipe is a beautiful nostalgia filled piece of my childhood. Just made these from the cookbook, with lemon flavoured sugar. So far they're super yummy! Wish I had everything to make the icing, oh well. I suspect I'll still have happy coworkers tomorrow. i should point out that you should only shortening when making cookies! shortening makes the cookies tall and soft where as butter makes them thin out and hard. also AWESOME recipe. made them on the weekend and now i am making them again, used a mint glaze instead. but thank you, these have made it to my personal cook book! Hi there, In my family we only use butter in these cookies and they are never hard or thin. They actually look exactly like the picture above. My grandma made them all of the time and we started calling them Grandma cookies. 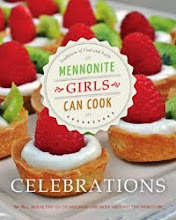 There's a similar recipe in the Mennonite Treasury cookbook that is also really good. I have made these cookies a few times and they are fabulous! Is there a way to make these gluten free and still taste the same? Thanks for your response - I will definitely check out that website. Thanks! I remember my grandma would make these with white icing and sprinkle coconut on top. These cookies are sooooo good! Thanks for sharing the recipe! Was lookin for the recipe for what we always called Egg Cookies and thought I'd see if Mom's Soft Cookies where like them! They look exactly like the ones Grandma Friesen and my mom made! So I'm going to try them and yes they HAVE to have pink icing! Grandma made them once with green icing and they just didn't taste the same! I was justing if u could use whipping cream instead of buttermilk? I've made this recipe twice. The first time, I added all the buttermilk, alternating with the flour, and ended up with a very soft mixture that couldn't be described as a dough. It was more like the base for oatmeal drop cookies, before the oatmeal has been added. This last time, I was more careful, and added only 1/3 cup buttermilk, and still had to add some flour to achieve a soft, slightly sticky dough. Is needing to add extra flour normal?